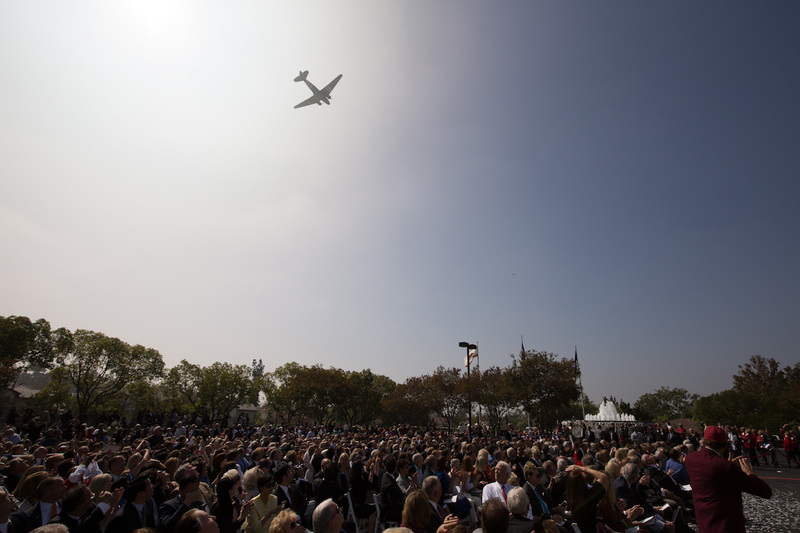 “The President can still draw a crowd,” the Wall Street Journal declared – of 3,000 to be exact. 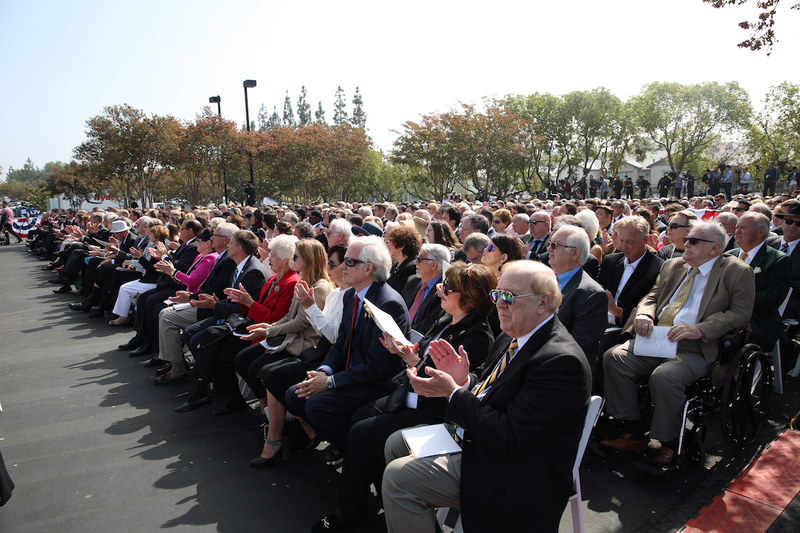 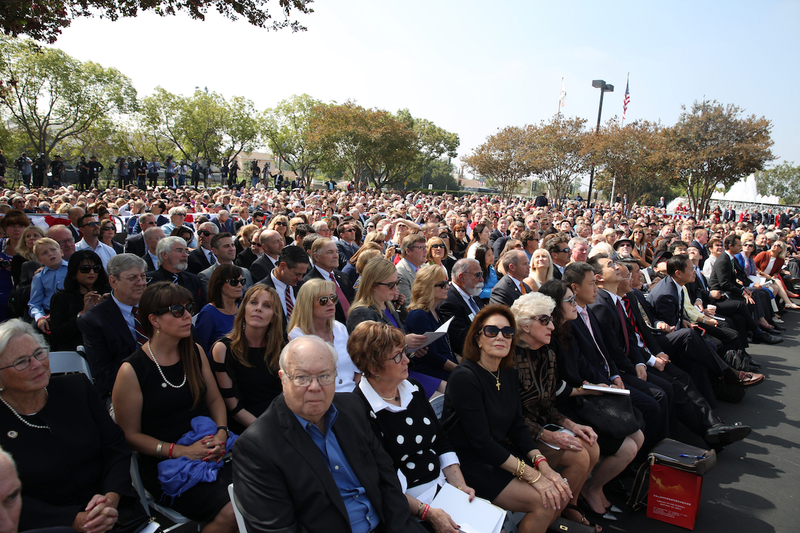 The New Nixon Library & Museum opened with two days of tributes to a consequential statesman and an iconic first lady who devoted their lives to public service. 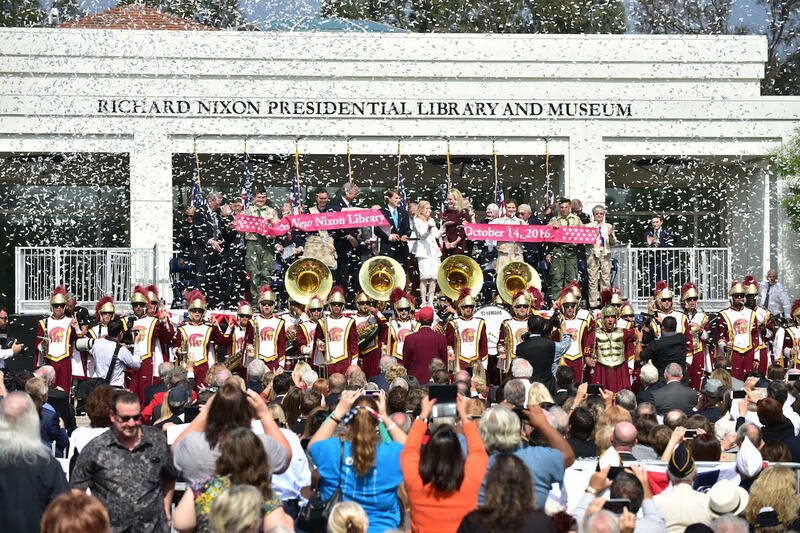 The Opening was a spectacular climax of several years of planning, fund-raising and construction to allow visitors to discover how Richard Nixon shaped our world. 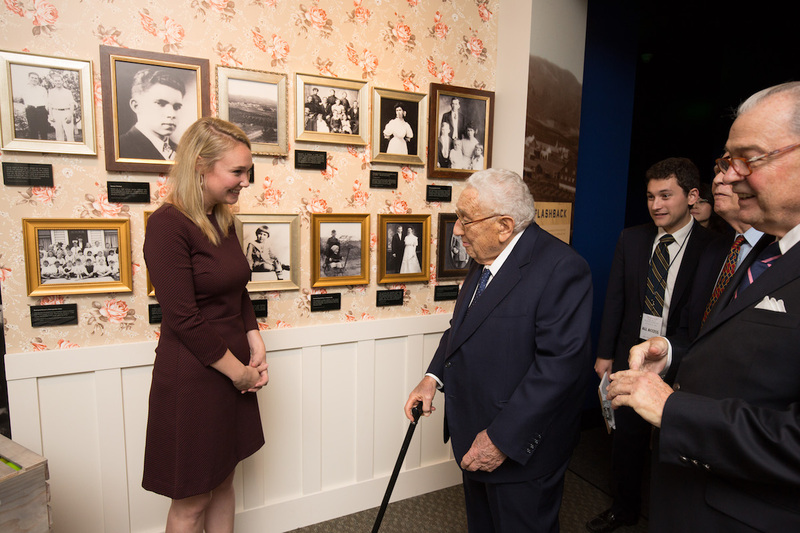 It celebrated the efforts of hundreds to create a dramatic presentation with new technologies, interactive displays and participatory learning opportunities for visitors and students of all ages. 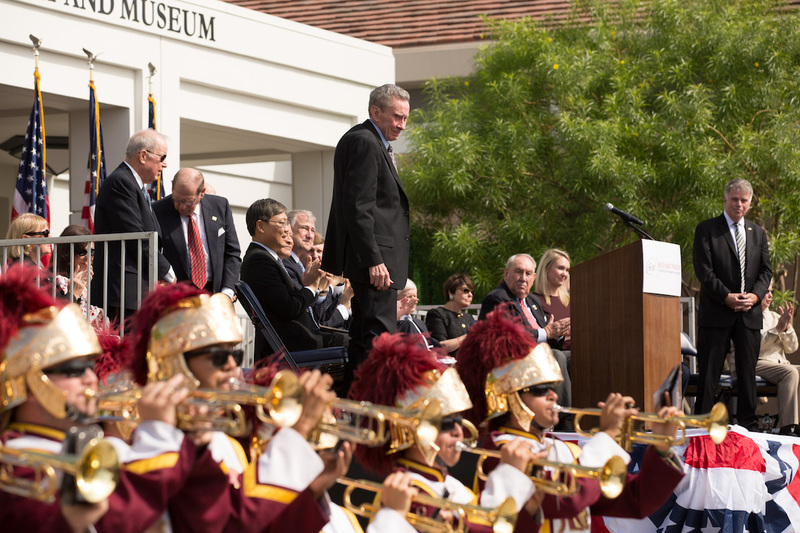 The opening ceremony kicked off with fanfare from the USC Trojan Marching Band, the singing of the National Anthem, flyovers and a meaningful invocation. 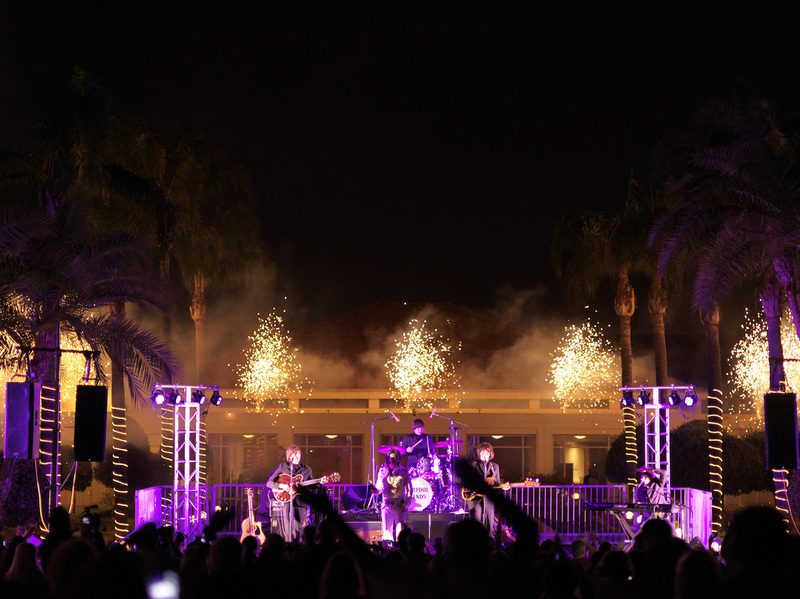 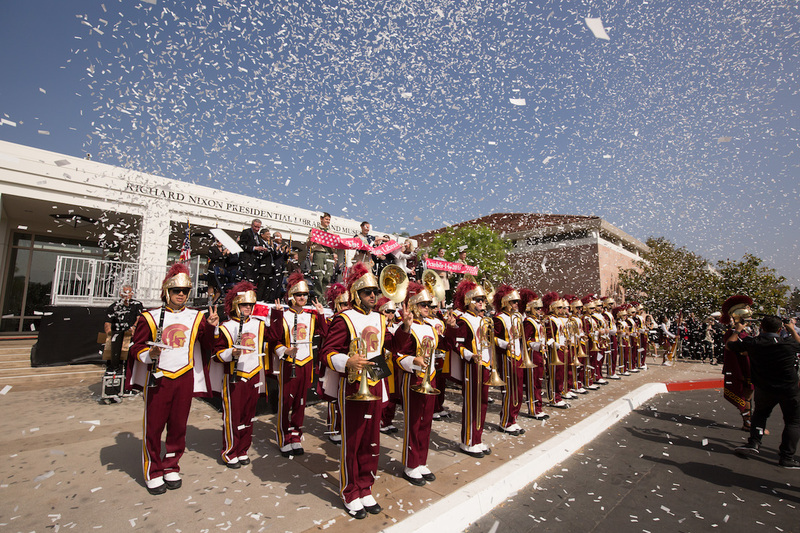 As the Band played Fight On – a tribute to alumna Pat Nixon – 24 pounds of confetti filled the air and Christopher Cox and Melanie Eisenhower, two of President and Mrs. Nixon’s grandchildren, officially cut the opening ribbon. 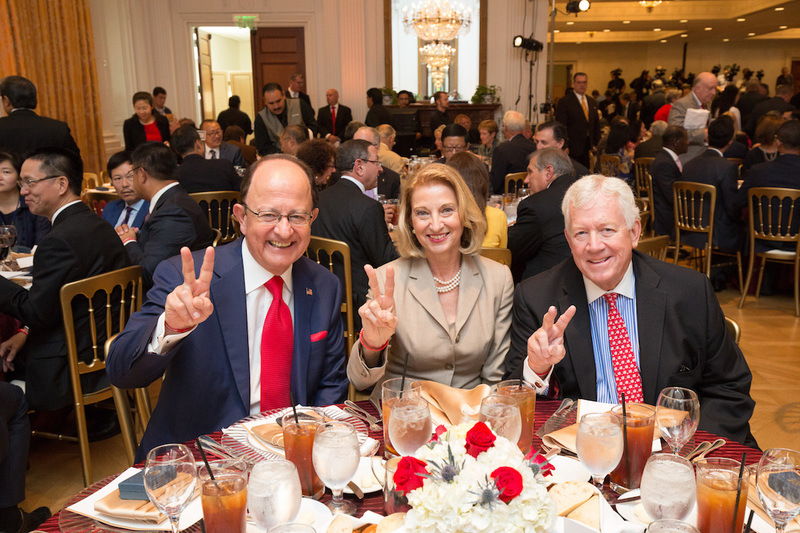 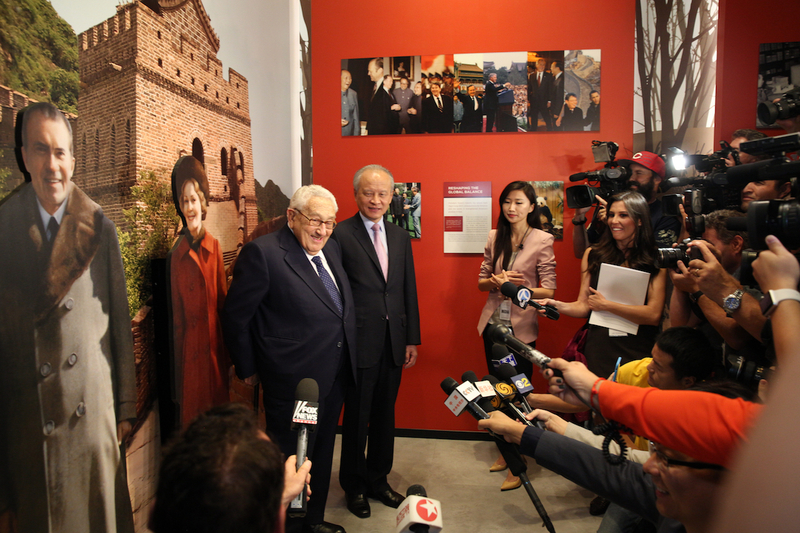 Notable participants, in addition to co-chairs Cox and Eisenhower, included Tricia Nixon Cox and Edward Cox; Ed Nixon; Dr. Henry Kissinger; His Excellency Cui Tiankai, Ambassador of the People’s Republic of China to the United States; former Calif. Gov. 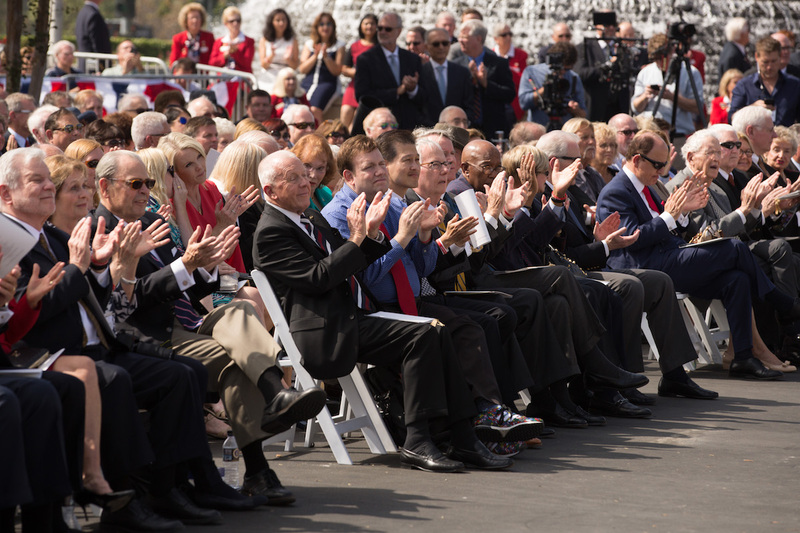 Pete Wilson; and Rep. Ed Royce, Chairman of the House Foreign Affairs Committee. 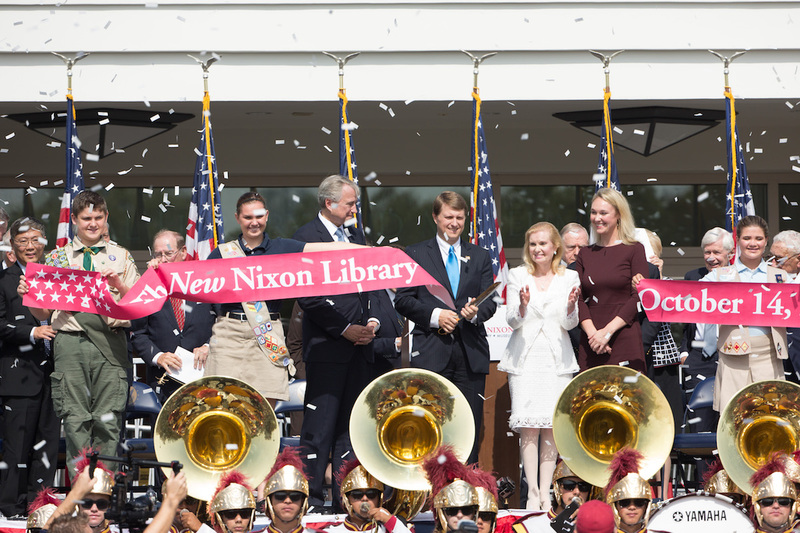 “We celebrate the opening of the meticulously researched, historically accurate, new addition of the Library,” Tricia Nixon Cox said. 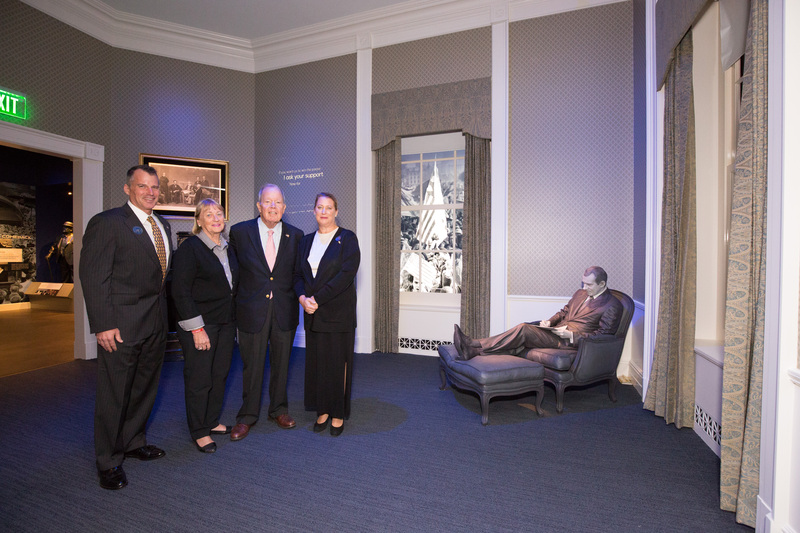 “I know all of you will enjoy these new exhibits which offer a fresh and compelling look into the life and times of our 37th president,” Archivist Ferriero said. 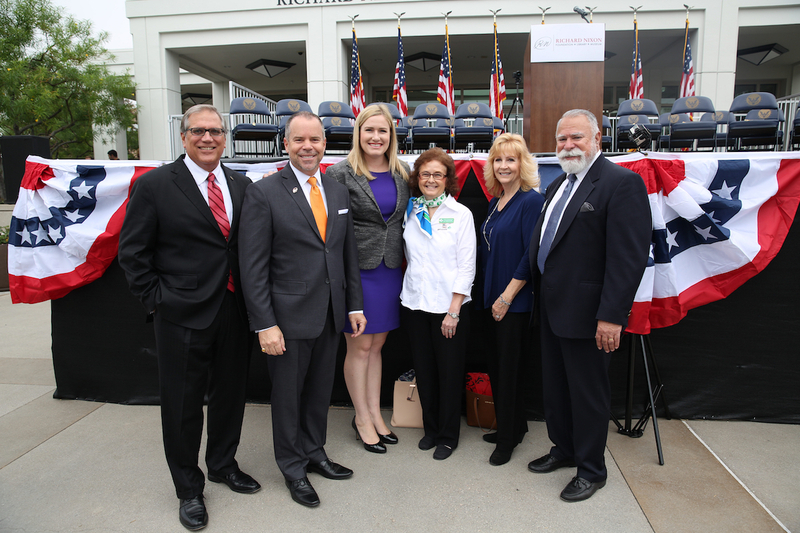 Over 40 municipal and county officials from across Southern California represented their constituencies in the true American spirit of bipartisanship. 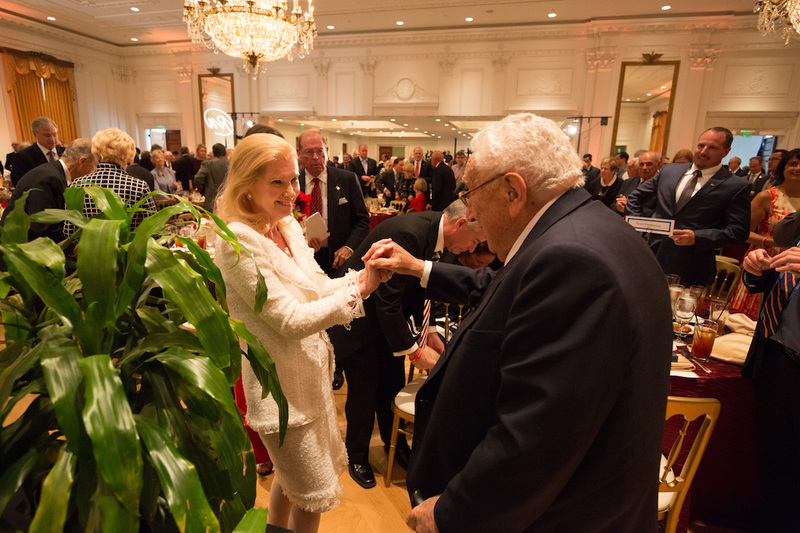 Calling him a “rock star, a great man and a great American,” Julia Argyros, President of Arnel & Affiliates, introduced Dr. Henry Kissinger at a luncheon following the ceremony and attended by over 450 invited guests. 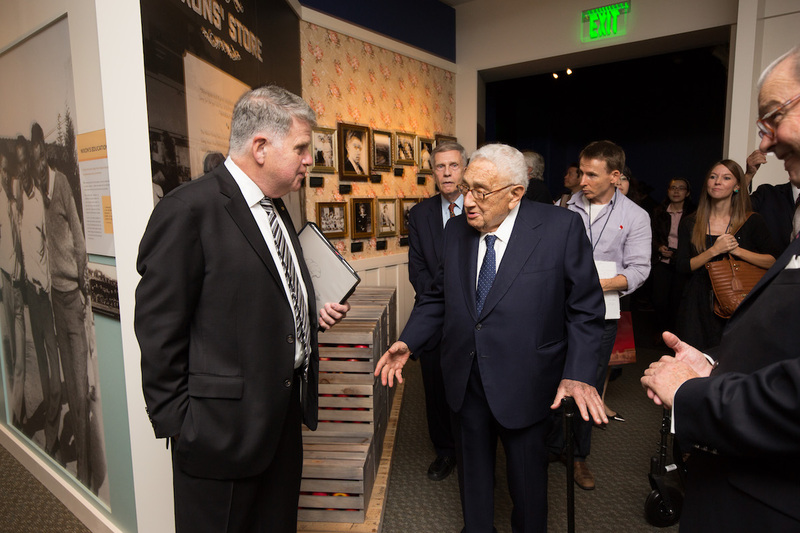 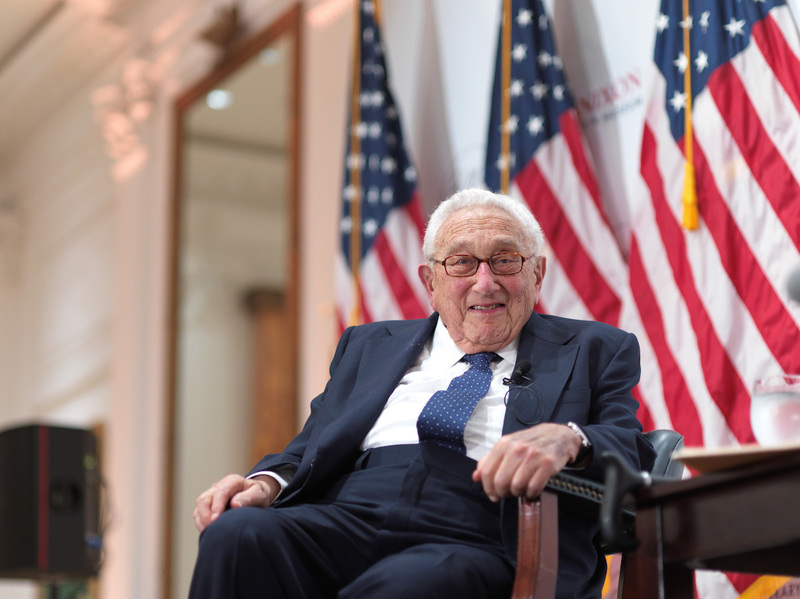 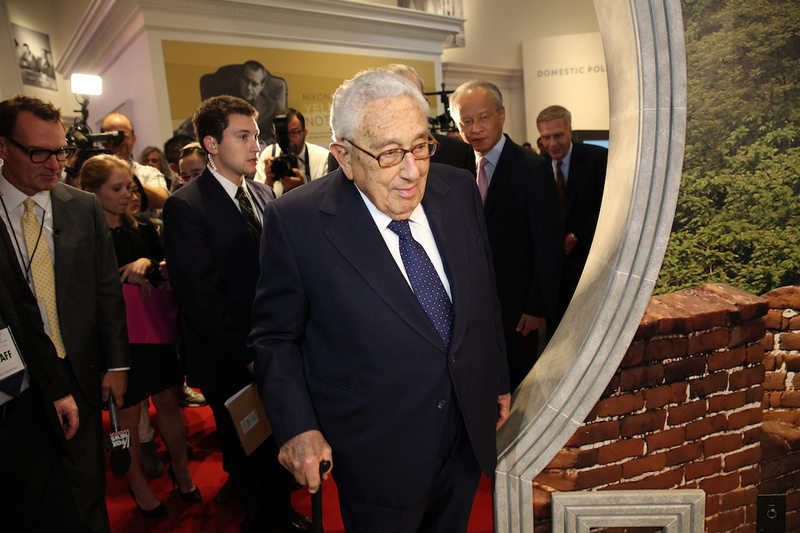 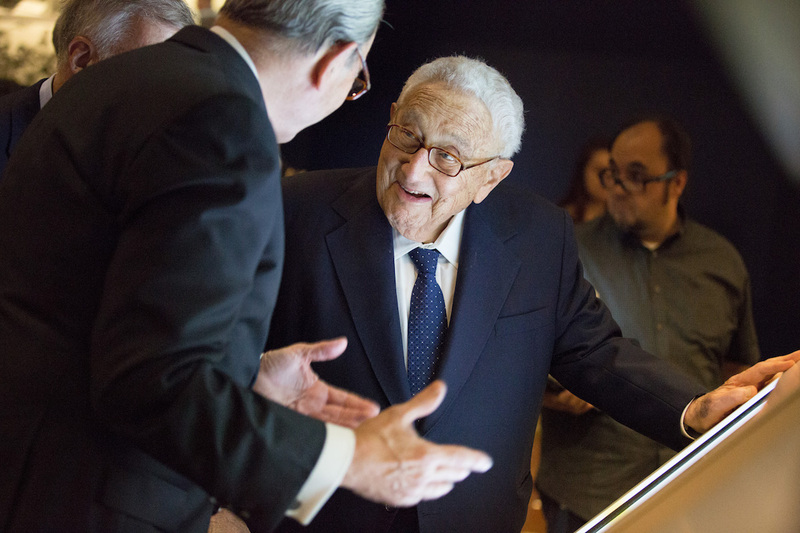 Dr. Kissinger was joined for a conversation on stage by Ambassador Winston Lord, former U.S. 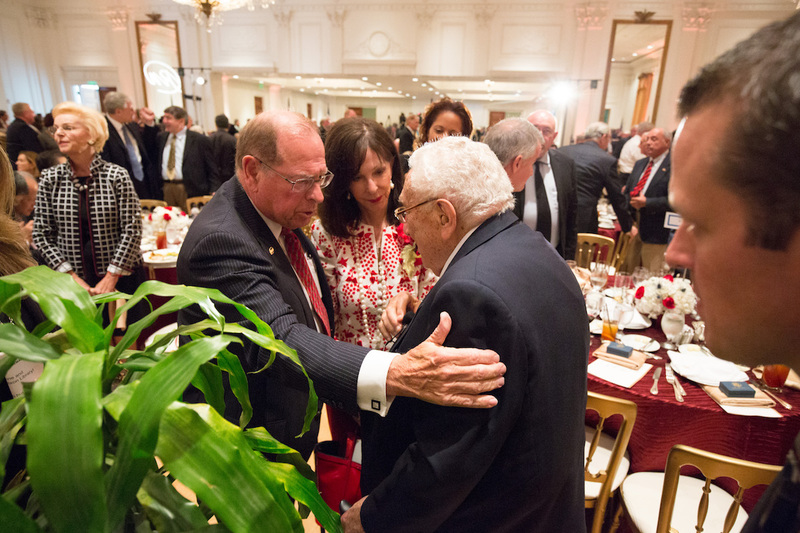 Ambassador to China, and Fox News National Security Analyst KT McFarland. 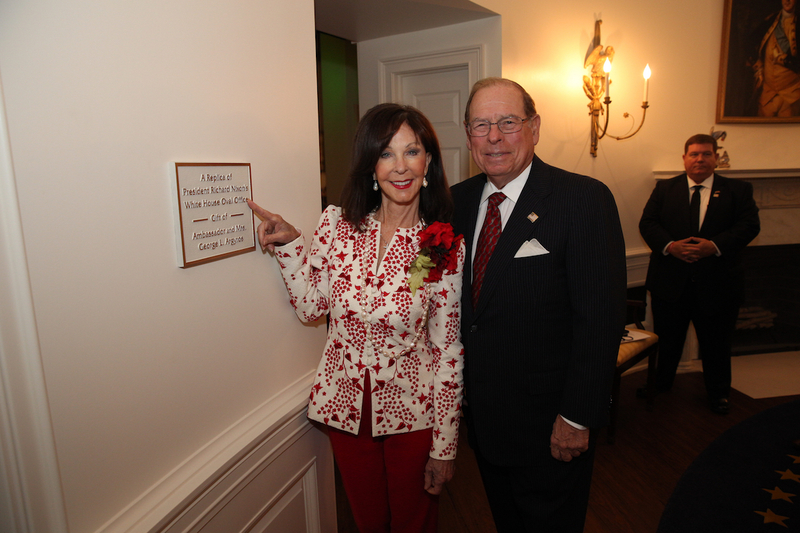 The program was bookended by heartfelt toasts to President and Mrs. Nixon. 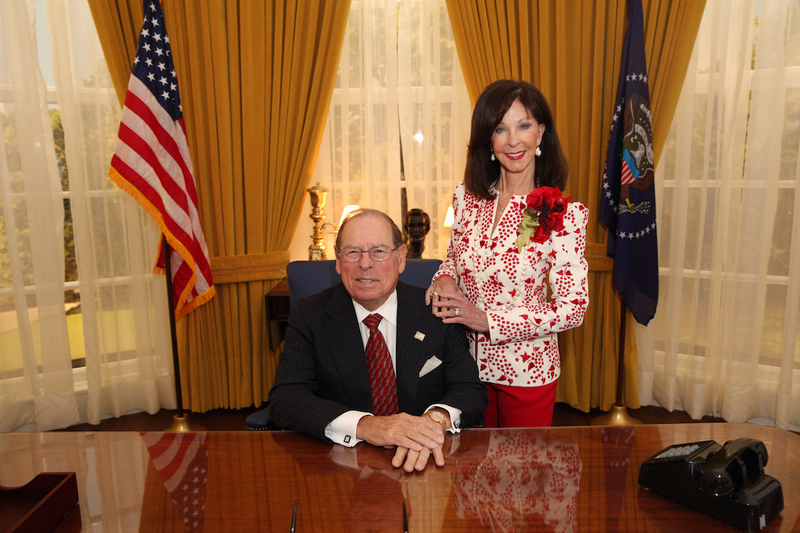 Dr. C.L. 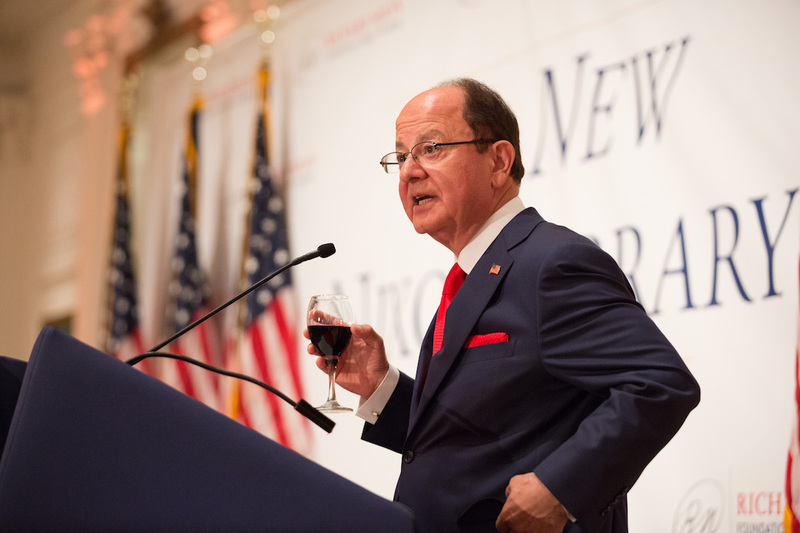 Max Nikias, President of the University of Southern California – the first lady’s alma mater – toasted Mrs. Nixon. 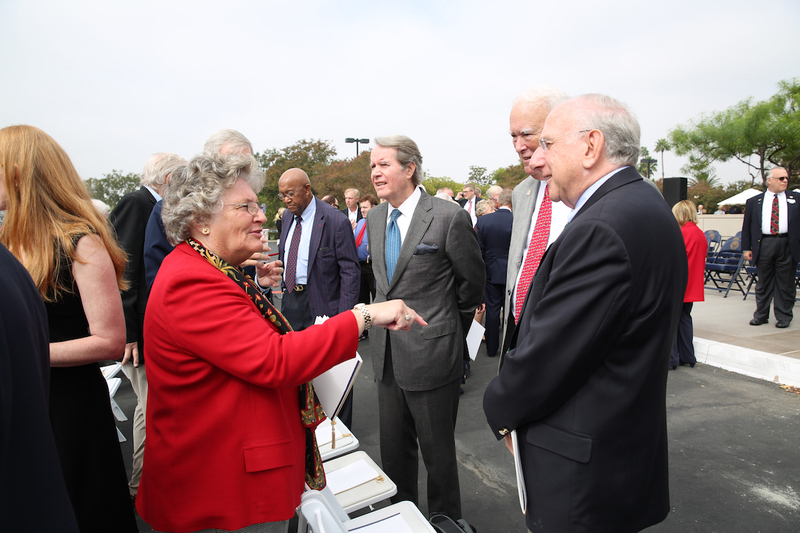 “Pat always understood that education is society’s great equalizer, and worked her entire career to advance this ideal,” Dr. Nikias said. 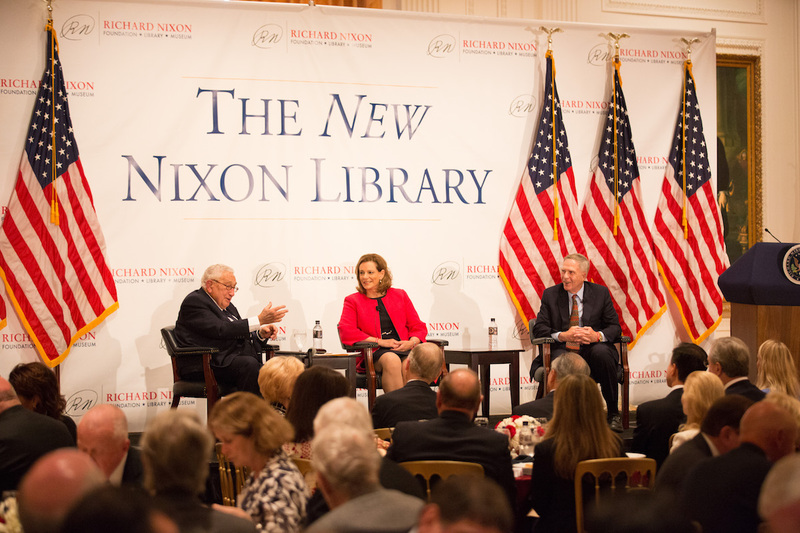 Ben Stein toasted President Nixon at the culmination of the luncheon. 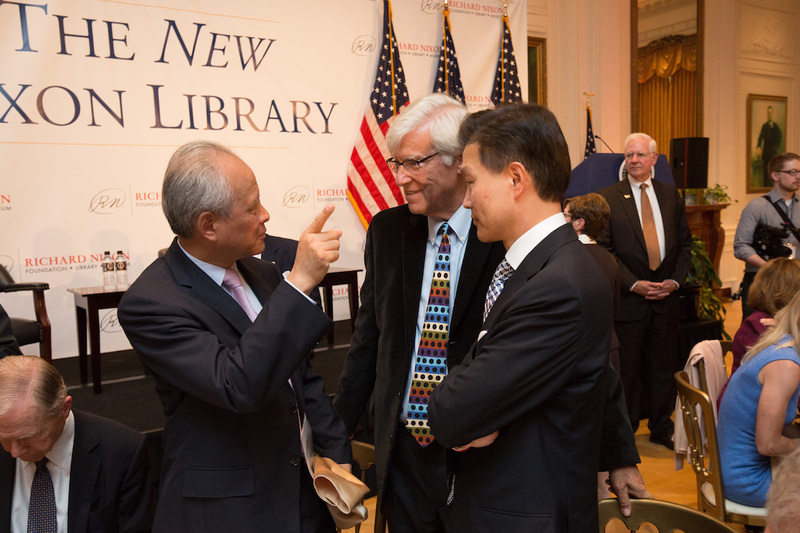 Ambassador Cui used the luncheon to deliver an electric statement on China-U.S. relations, looking beyond the inauguration of the next president to outline areas in which our two countries can work together on common ground. 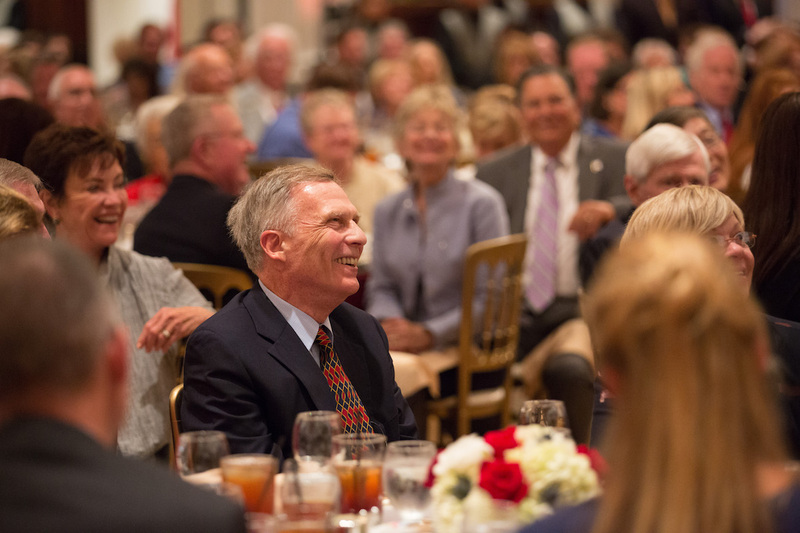 Legacy Discussion Day – October 15 – featured two unconventional presentations reflecting on this most unconventional of leaders. 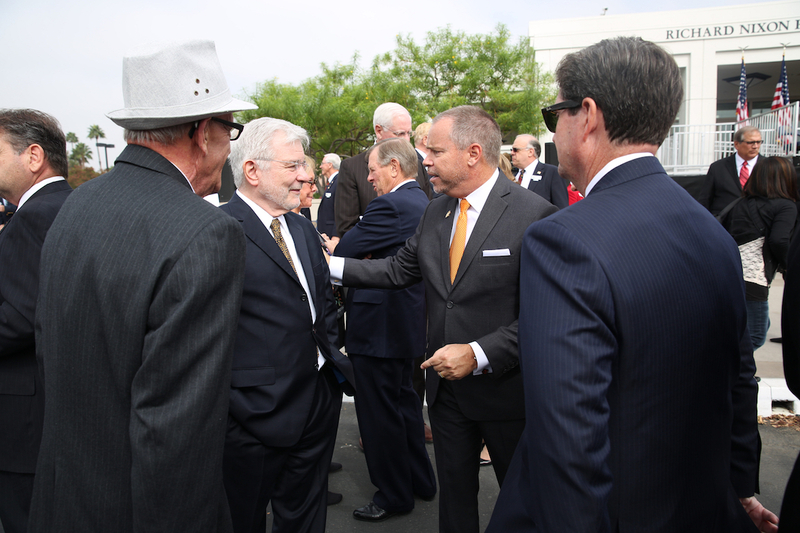 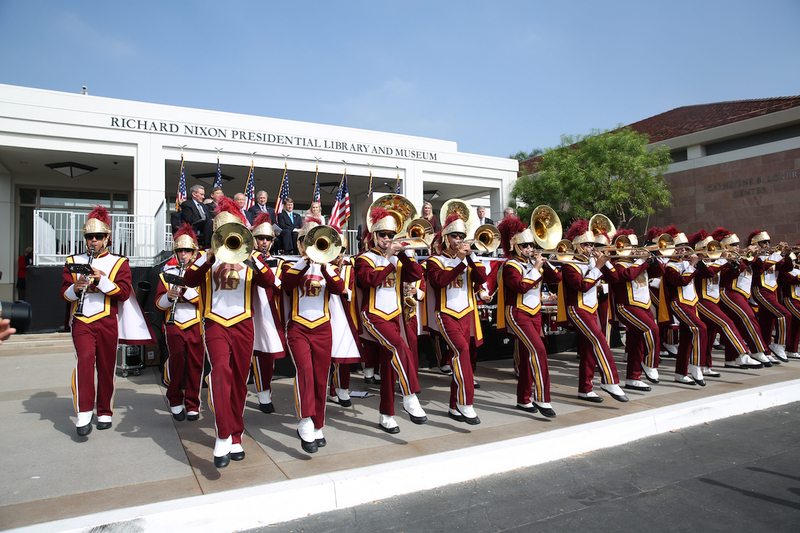 The Making of the New Nixon Library featured the three organizations behind the conception, design and execution of both building the new museum and mirroring it in a fun, easy-to-navigate method online. 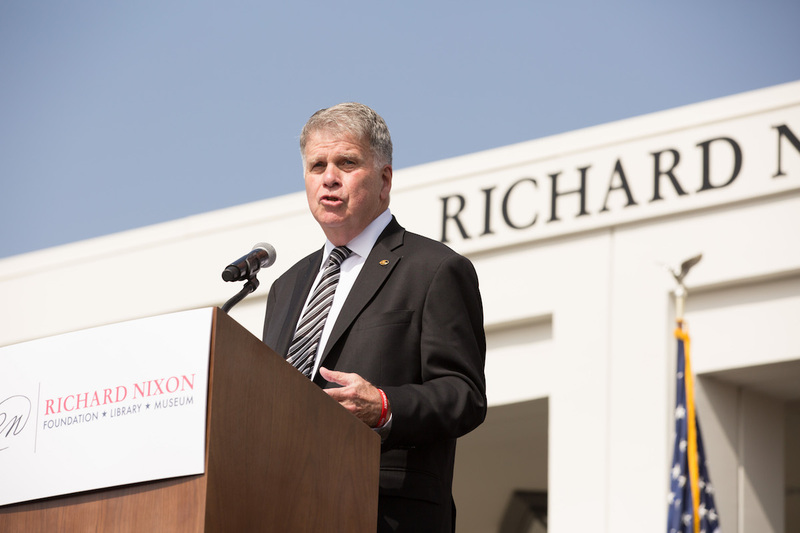 A Consequential Life featured four Nixon biographers – Irwin Gellman, Luke Nichter, Douglas Schoen and Evan Thomas – reflecting on President Nixon’s consequential and always interesting continuing impact on American life. 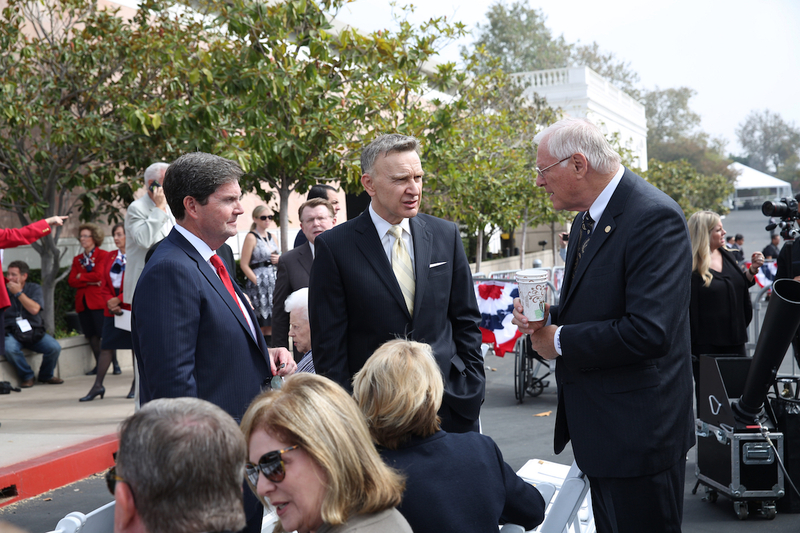 The program was expertly moderated by Mark Updegrove, Director of the LBJ Presidential Library in Austin, TX.